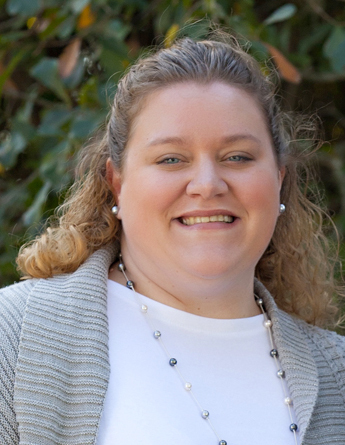 Jennifer Schnippert, Gamma Beta 2003, currently serves as the Expansion Chair for the Collegiate Branch. As Collegiate Expansion Chair, I act as the point of first contact for students looking to start a chapter of Alpha Chi Sigma at their school. When a student is interested in bringing Alpha Chi Sigma to their campus, I provide information on what the process entails, what they need to do to get started, and I’m their main contact throughout the beginning of the process of becoming a collegiate group. I help them figure out how to find new members and ensure that they complete all of the paperwork with their school and the fraternity. I work with the Supreme Council and the District Counselors to help them find a parent chapter. Once the first pledges are inducted, I step back into an advisory role and am available to answer questions, and the DC then leads them through the process from there. I love seeing the fraternity grow and have been amazed at how quickly it has done so over the last few years. At the installation for Delta Epsilon, GMA Evaniak mentioned that he’d gotten to see 8 installations and 3 reactivations during his 6 years on the SC. It’s a level of growth we haven’t seen for more than 60 years. With eight active colonies and the same number of collegiate groups, there’s no reason to think that growth will slow down any time soon. It’s been a busy job, but one that is useless without the hard work of the district counselors and collegiate brothers who pick up where I finish and bring these new chapters and reactivations to fruition. I joined Alpha Chi Sigma together with my husband in the fall of 2003. We were only able to be active at Florida State for two semesters before we moved for his job. Without a professional group in our area, we stayed active by attending district conclaves and helping out on a district committee before we were able to attend biennial conclave at Indiana University in 2008. In 2012, I was happy to be asked to take over for Katie Riley when she stepped down from the position to become Atlantic Central District Counselor. The last four years have been very busy, and I’m glad to say there’s no sign of it that changing any time soon. While I earned my first bachelor’s degree in biochemistry, I went back to school to become a nurse, then continued on a Doctor of Nursing Practice degree and have been a nurse practitioner for almost two years. I currently work at a family practice office in Tallahassee and am proud to be one of many brothers who have gone into the nursing profession. I find that my strong background in the chemical sciences made a fantastic foundation for my nursing education. While it was a big change from P-Chem to Pathophysiology, nursing allows me to combine my love for chemistry with my passion for helping people.